As of September 29, 2017, those wishing to appeal Ohio Board of Tax Appeals (“BTA”) decisions no longer have a choice between the Ohio Supreme Court and the court of appeals (for the county in which the taxed property is located or the taxpayer resides). Appeals of BTA decisions must now be filed with the appropriate court of appeals. The reason is a little known modification of Ohio Revised Code Section 5717.04 (“ORC 5717.04”) that was slipped into the State budget bill for 2018-2019 (Ohio House Bill 49). Those that believe their case is “supreme court worthy”, however, may still be able to get in the door, one of two ways: by transfer application; or by appeal of the court of appeals decision. If the transfer petition is denied, and the taxpayer is unhappy with the decision of the court of appeals, it may (as was the case before the amendment to the statute) appeal the appellate court’s decision to the Ohio Supreme Court, which can decide to hear the appeal or allow the appellate court’s decision to stand. 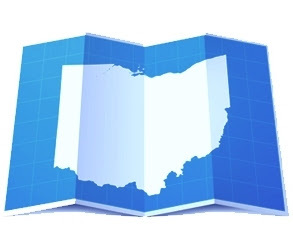 Reportedly, the Ohio Supreme Court lobbied for these changes to lighten its docket because the majority of its tax decisions have dealt with mathematic valuations and calculations vs. matters of statewide importance. Opponents of the amended statute claim it will “erode the uniformity of the tax code in the state of Ohio.” (See “Ohio Taxpayers Lose Right to Take Disputes to High Court”, Julie Carr Smyth/The Associated Press, posted 9/29/17, Ohio Times Reporter.com). For a complete version of newly amended Ohio Revised Code Section 5717.04, click on the aforesaid highlighted link to the statute.